Softball Pitcher Monica Abbott Signs Record $1 Million Contract : The Two-Way The six-year deal with the Scrap Yard Dawgs, a team in the National Pro Fastpitch league, is the first million-dollar deal in the league's 13-year history. 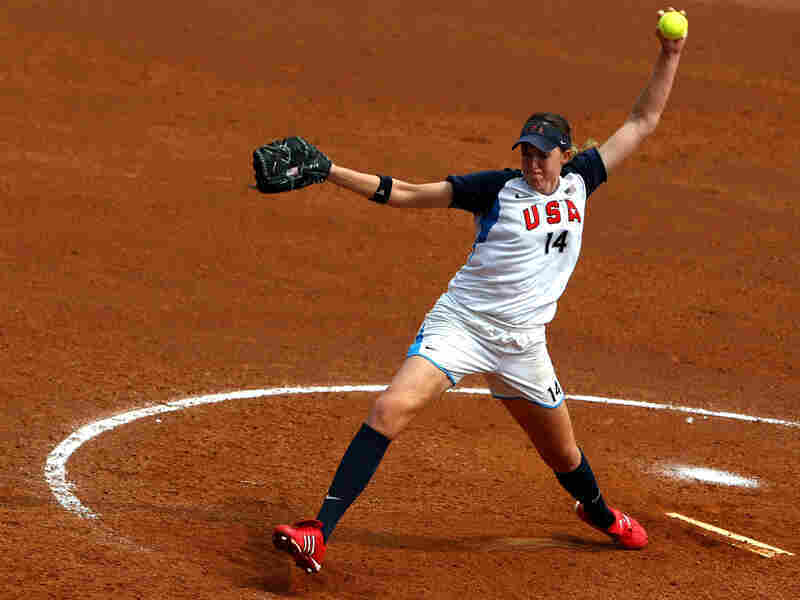 Pitcher Monica Abbott helped the U.S. softball team to a gold medal in the women's softball world championship in July 2010. Now she has signed a record-breaking contract with the Scrap Yard Dawgs, a team in the National Pro Fastpitch league. She holds NCAA records for strikeouts, shutouts and wins; in 2008, she became the first player to a pitch a perfect game in the Olympics; she's a three-time National Pro Fastpitch league champion; and in 2012, she set a new NPF speed record with a 77 miles-per-hour pitch. This week, Abbott broke one more when she inked a six-year, $1 million deal with the Houston-area Scrap Yard Dawgs, becoming the first player in the 13-year history of the league to sign a million-dollar contract. Monica Abbott also represented the U.S. in the 2008 Olympic Games in Beijing. As ESPN reported, the contract is thought to be "the most lucrative paid by an individual American professional franchise to an active female athlete in team sports." The deal isn't just huge for the 30-year-old pitcher, who has recently played in Japan's softball league and for the NPF's Chicago Bandits. It's also being hailed as a step forward for softball and women's sports in general. "I think it's a proud moment for National Pro Fastpitch," league Commissioner Cheri Kempf said, according to ESPN. "But I think it goes further than that. I think it's a proud moment for women in professional sports in this country. I feel glad that it's happening in the league. I'm glad that we're going to lead the way, in some respects." The significance of the deal isn't lost on Abbott, either. On Thursday, she flooded her Twitter profile with congratulatory messages, inspirational sayings and hashtags such as #breakingbarriers and #firstonemildeal. She tweeted, "The future of #Softball just got a lil bit better for everyone." "Teams in the NPF must squeeze rosters of at least 18 players within a salary cap of $150,000. Few players earn more than $20,000. Most make low-to-mid-four figures for the three-month season. To fit that structure, Abbott's deal pays her a base salary of $20,000 for each of the next six seasons, with attendance bonuses making up the rest. It will not be difficult to meet the bonuses, triggered when attendance for a small number of games reaches 100 fans, home or away and whether or not Abbott pitches. "That is the math as it relates to the 30-year-old Abbott, who spent the past five seasons with the Chicago Bandits. It is math designed to catch the eye, like the contract that made Nolan Ryan baseball's first $1 million-a-year player in 1979." The deal's $1 million price tag was meant to grab attention, but it was also part of the plan to secure the best pitcher in softball, as Scrap Yard Dawgs' General Manager Connie May said in a statement from the club. "We are very excited to have the number one pitcher in the world in Houston for the next six years," May said. "We have worked very hard to put a solid team on the field and Monica will be the final piece to this puzzle to give us the best opportunity to compete for the Cowles Cup in our inaugural season." 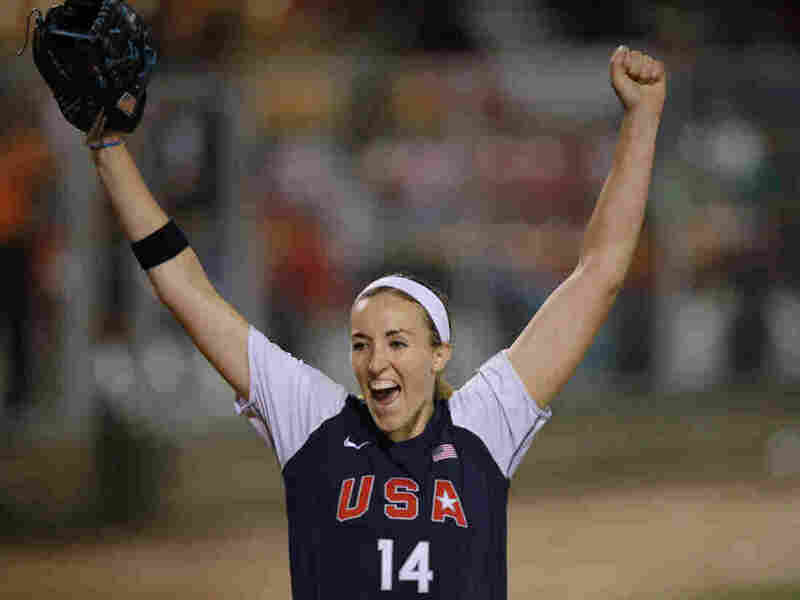 Monica Abbott: Believe in Your Best from Ringor on Vimeo.